Youth sizes have 7" inseam - Adult sizes have 9" inseam. Eyelet mesh shorts. Pull on with lining, full elastic waistband and drawcord. 100% Nylon Printed with school logo. 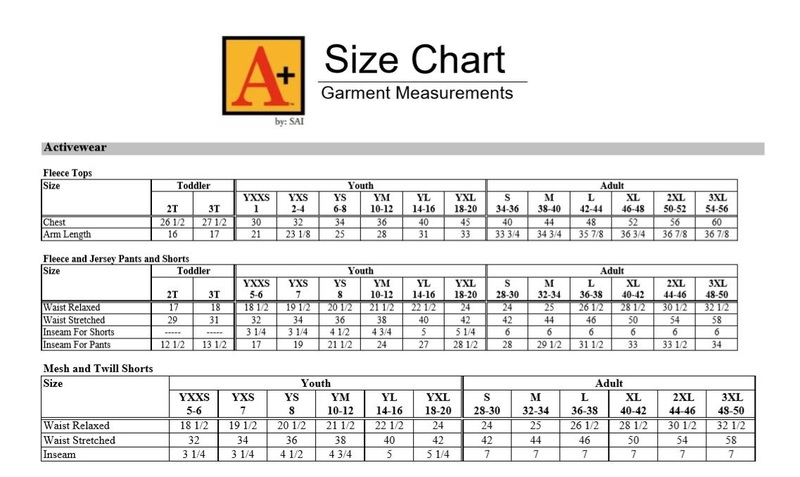 Youth sizes have 7" inseam - Adult sizes have 9" inseam.